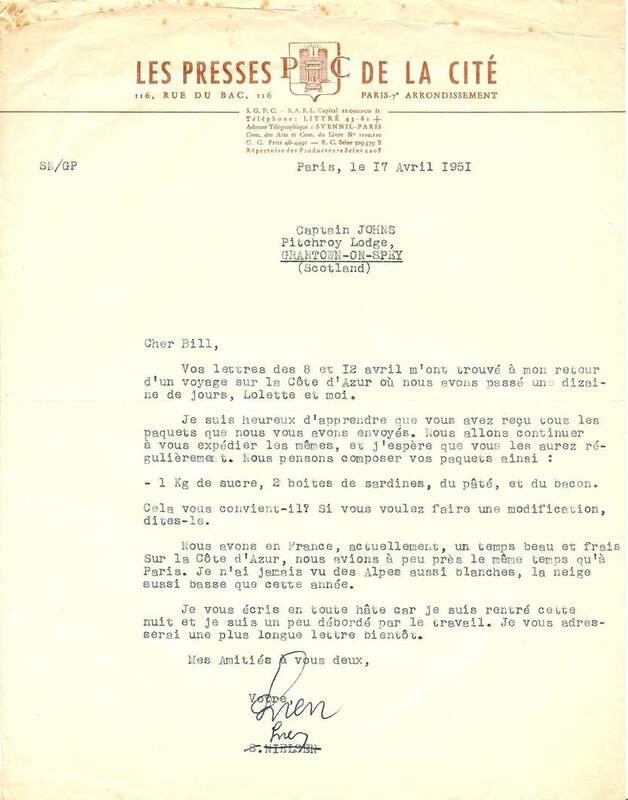 I got your letters dated from the 8 and 12 of April when I came back from a trip on the Riviera where Lolette and I spent ten days. - 1 kilo of sugar, 2 tins of sardines, some pâté, and bacon. Does it fit you? Let me know if you want to change the contents. The weather in France is nice and chilly these days. We had roughly the same weather on the Riviera than in Paris. I’ve never seen the Alps so white, and so little snow than this year. I’m writing you in a hurry because I came back last night and I’m very busy working. I’ll send you a longer letter soon.